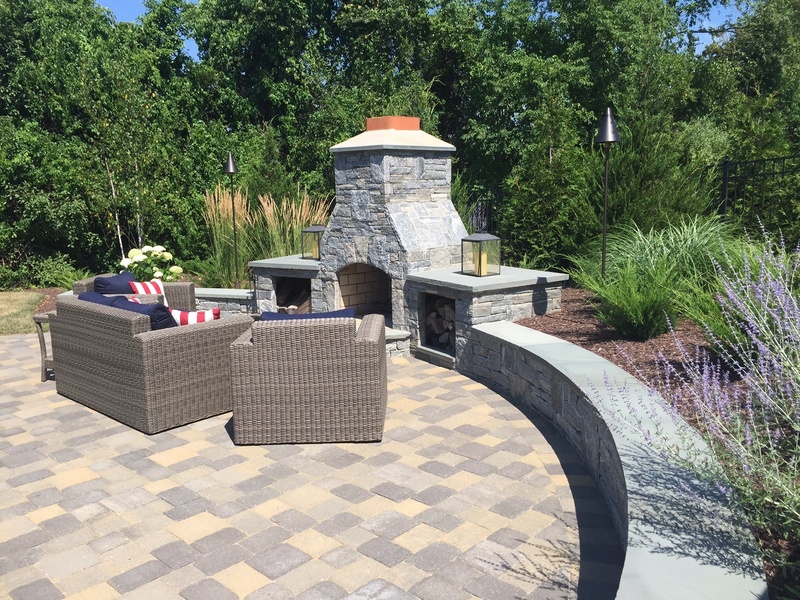 Yankee cobble mix of vineyard and quarry blend. 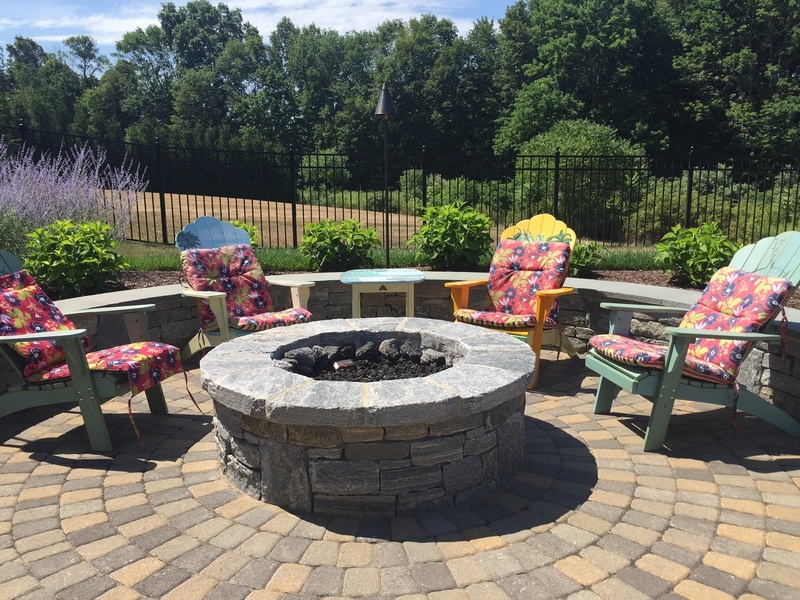 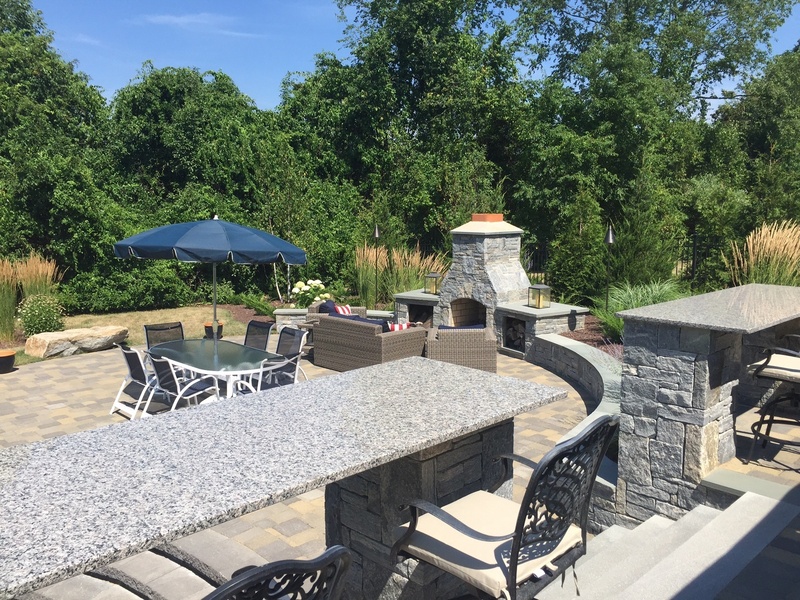 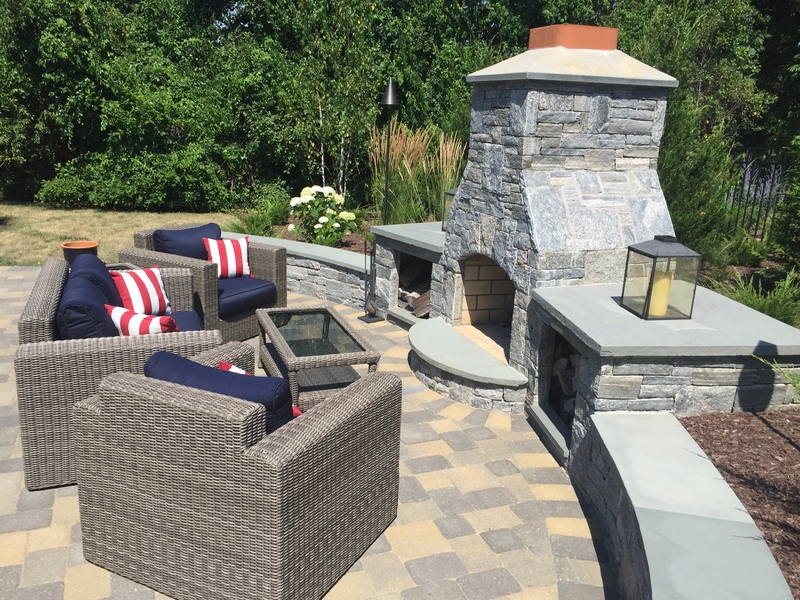 Walls, fire pit and fireplace are Liberty Hill granite with bluestone caps. 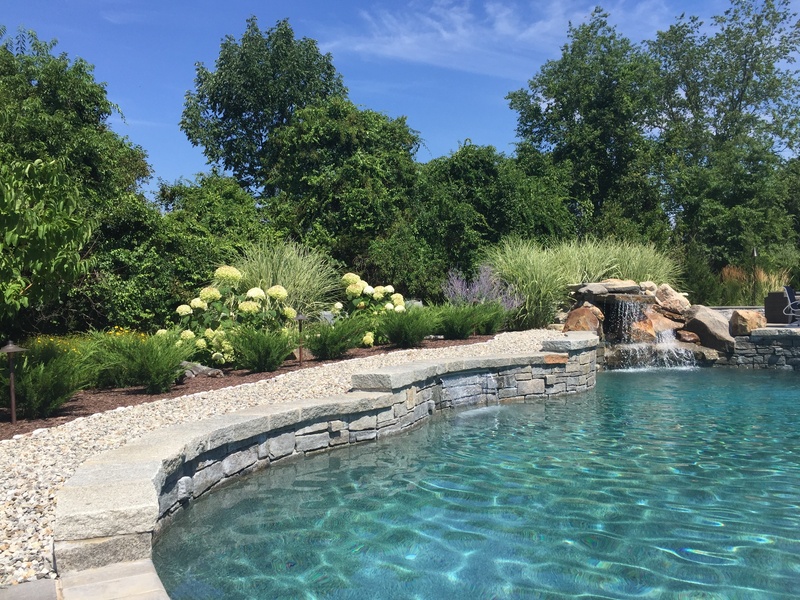 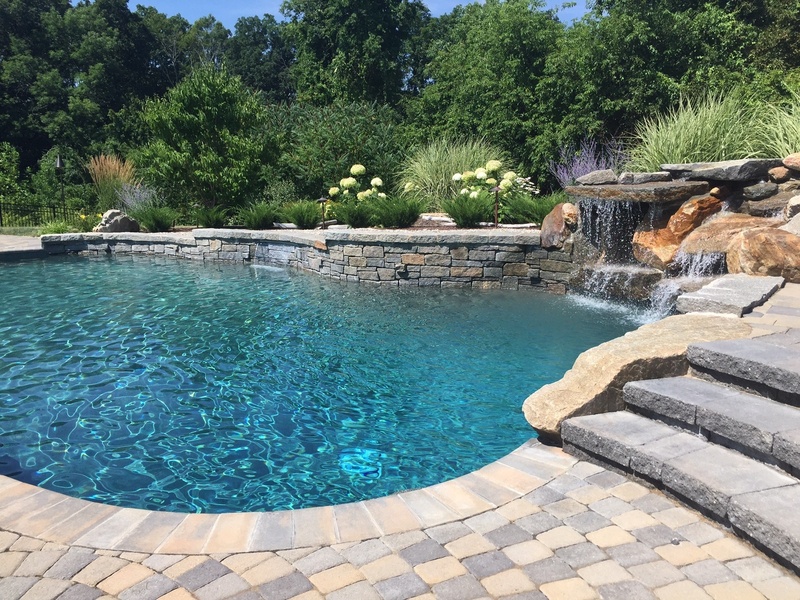 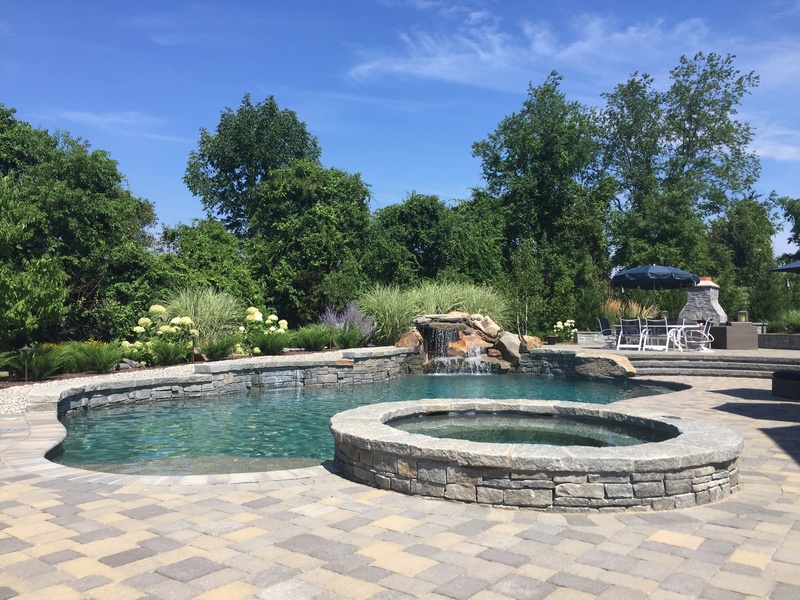 Client wanted to transform a spacious yard into an outdoor oasis with pool, hot tub, and fire pit and fireplace, all connecting to a pre-existing raised deck, walkout basement and driveway. 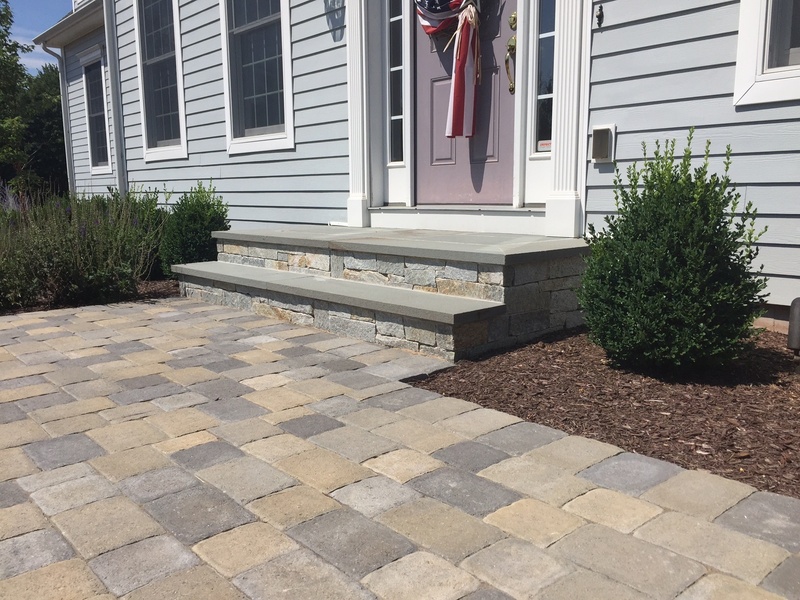 Installation included a new front walkway and front entry step reface with natural stone veneer. 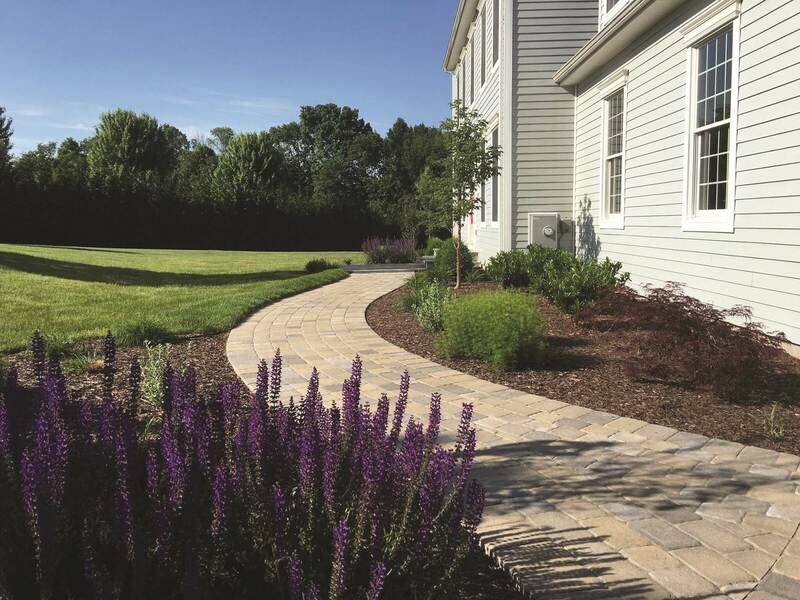 Front walkway and step reface.